Matsue (pop. 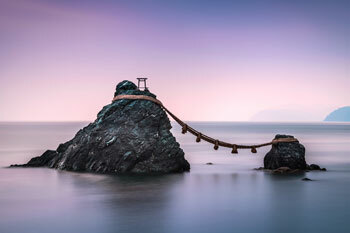 140,000) is the capital of Shimane prefecture, one of Japan's least densely populated region. 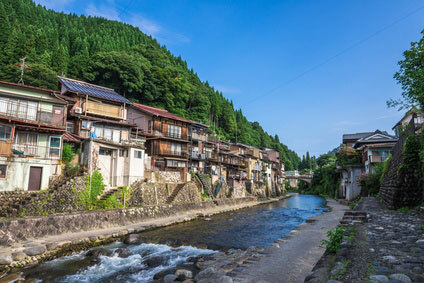 One of the striking feature of the town is its geographic position on the Ohashi river, right between Lake Shinji-ko and Lake Nakanoumi, both separated from the sea by a narrow strip of land (3 to 5 km wide). 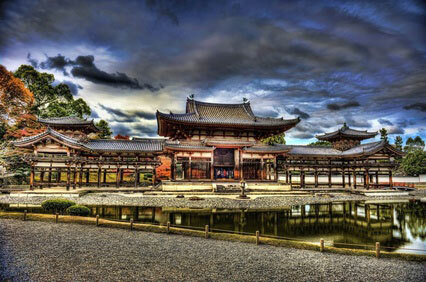 Matsue is thus literally built on waters, with canals dividing each neighbourhoods. 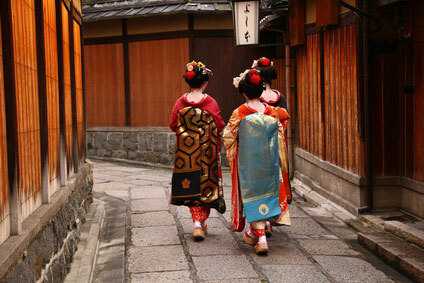 There aren't any major tourist attraction, but the town is pleasant and relaxed, is reputed for 18th-century teahouses. 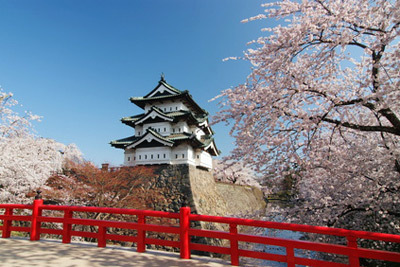 Matsue Castle, though not big, is one of Japan's last surviving castle preserved in its original state (open from 8:30am to 5pm ; admission is ￥500). On the northern edge of the castle moat, the Buke Yashiki is a well-preserved, though modest samurai residence, built in 1730 (open from 8:30am to 5pm, admission is ￥250). Still facing the moat, the Tanabe Art Museum has Edo-period tea ceremony paraphernalia from the Tanabe clan. Next to it is a house where Greco-Irish writer Lafcadio Hearn spent one year of his life, and is adjoined by a museum (open from 8:30am to 4:30pm, admission is ￥250). It is known in Japanese as 小泉八雲旧宅 , by the writer's Japanese name "Koizumi Yakumo". Meimei-an Teahouse is a good place to sample some tea and sweets. It was built in 1779 and has delightful gardens attached to it. Kanden-an Teahouse, a few kilometers north-east of the center is one of Japan's finest traditional tea houses (built in 1792). It is open from 9:30am to 4pm and is closed on Thursday. 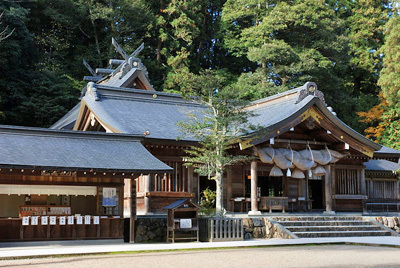 The two main shrines in town are the Kumano Taisha and the Matsue Gokoku-jinja. 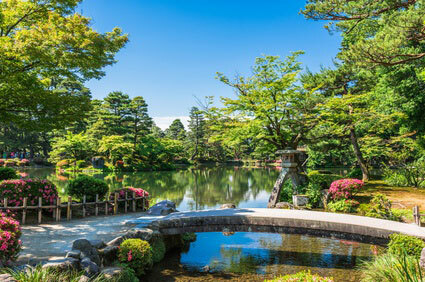 20 km east of Matsue is the Adachi Museum of Art, one of Japan's best museums set around splendid Japanese gardens. Founded by Adachi Zenkō in 1980, the museum possess an amazing collection of Japanese artworks from the Meiji Era to the contemporary period (1300 pieces in total), including the largest collection by Yokoyama Taikan. Mr Adachi designed the museum so that the visitors could contemplate the various gardens at the same time as the works of art, and have an enhanced experience of both as a result. Coming from Osaka or Fukuoka/Hakata by shinkansen, change at Okayama for the JR Limited Express Super Yakumo, which takes 2h20min (￥3,260). 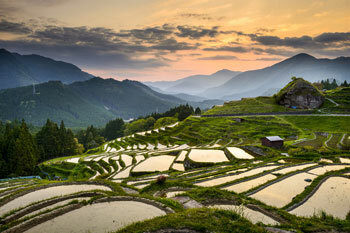 Izumo is easily reachable with the JR Limited Express Super Matsuekaze (20min, ￥570). Ordinary trains take 45min. A cheaper and convenient way to reach Matsue is by highway bus. Ichibata has buses to/from Tokyo (10h30min, ￥11,500), Kyoto (5h, ￥5,400), Osaka (4h40, ￥5100), Okayama (3h, ￥3,400), Hiroshima (3h15min, ￥4,000) and Fukuoka (9h, ￥8,800). The two nearest airports are Yonago (45min by bus, ￥960) and Izumo (25min from Izumo, ￥670). ANA has flights between Yonago and Tokyo (Haneda) and Nagoya (Chuubu). 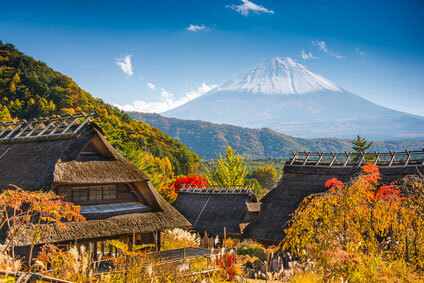 JAL flies to/from Izumo and Sapporo (Chitose), Tokyo (Haneda), Osaka (Itami), Oki and Fukuoka.